Our twin line oxygen/acetylene assemblies are designed for portable or production line welding in factories, construction, and agricultural applications. This hose meets or exceeds RMA and Compressed Gas Association specifications for Grade R welding hose. 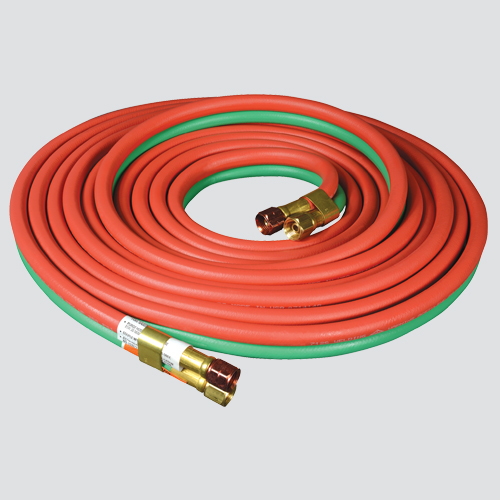 The green oxygen and red acetylene smooth cover hoses are vulcanized together, ensuring long life and easy handling.